pp. 16-23, Central City Opera, Central City, CO, 2017. Association, Cincinnati, OH, November 2016. 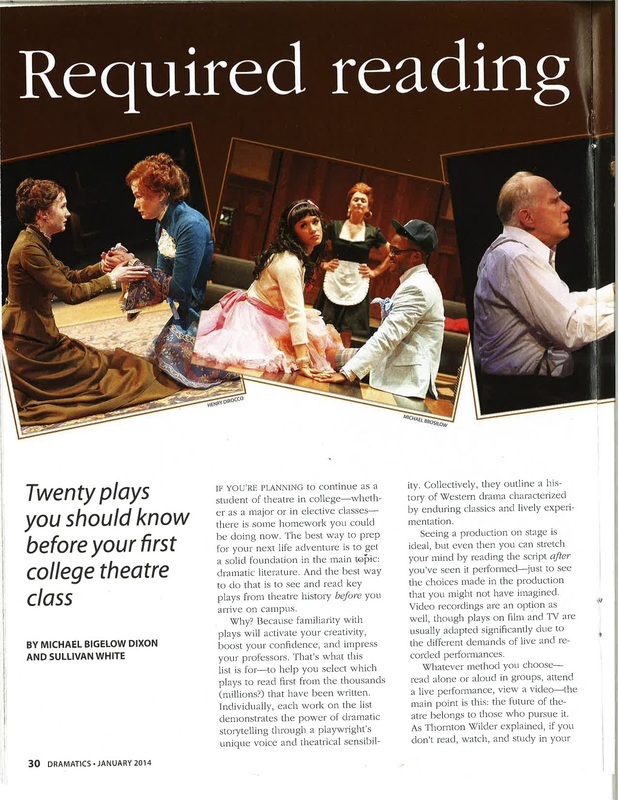 "Acting and Eating," by Michael Bigelow Dixon, Dramatics, ​Educational Theatre Association, Cincinnati, OH, December 2015. 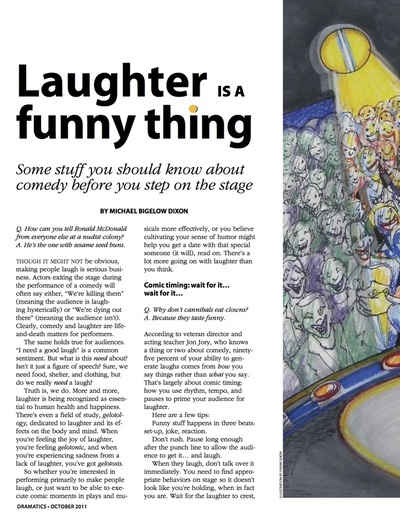 "Where the Wild Things Aren't," by Michael Bigelow Dixon, HowlRound Journal, HowlRound.com, November 2015. 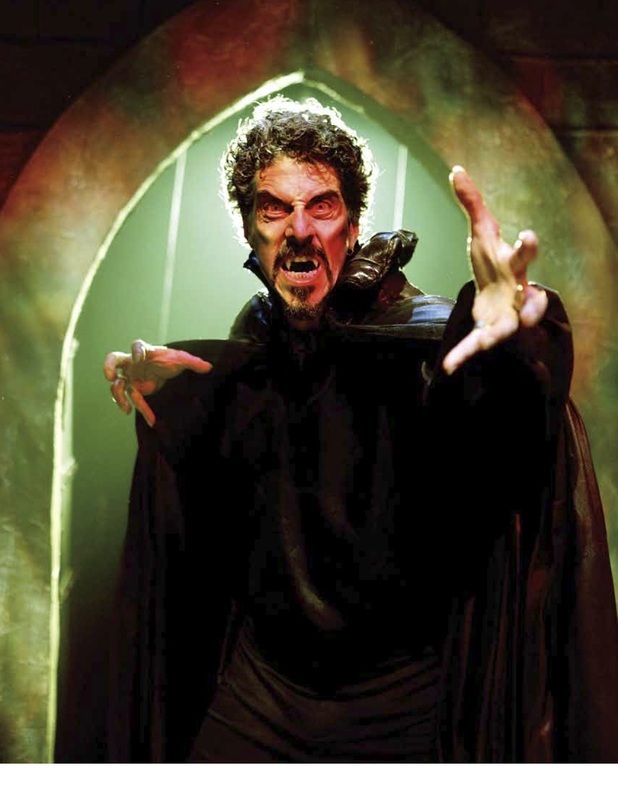 "On Monsters," by Michael Bigelow Dixon, Dramatics, Educational Theatre Association, Cincinnati, OH, October 2014.
vol. 85 no. 5, EdTA, Cincinnati, OH, January 2014. 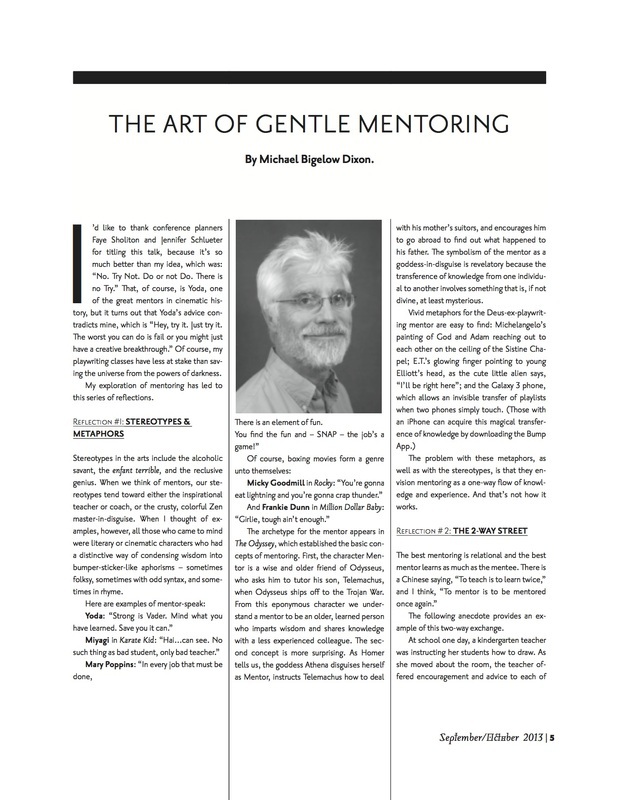 “The Gentle Art of Mentoring,” by Michael Bigelow Dixon, The Dramatist, The Dramatists Guild, New York, 2013.
no. 4, EdTA, Cincinnati, OH, Summer 2013. 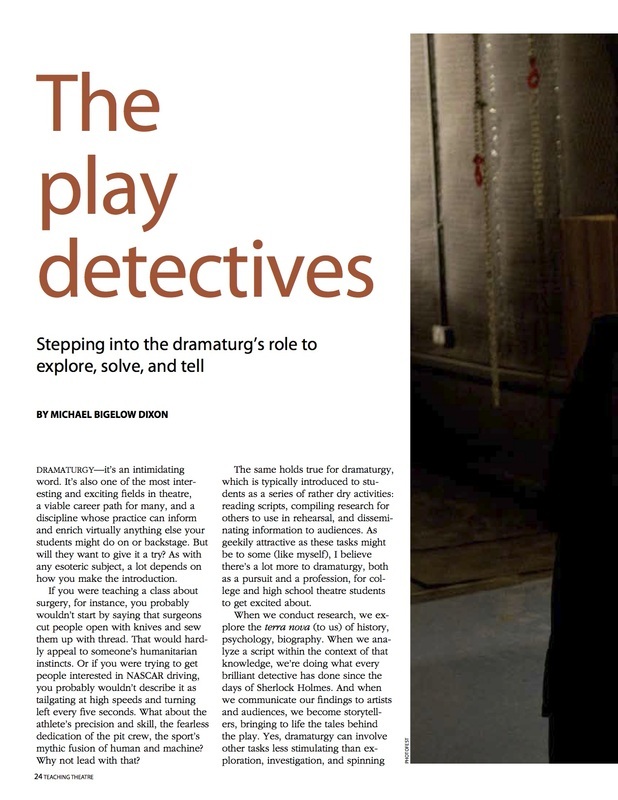 “The Play Detectives,” by Michael Bigelow Dixon, Teaching Theatre, vol. 24 no. 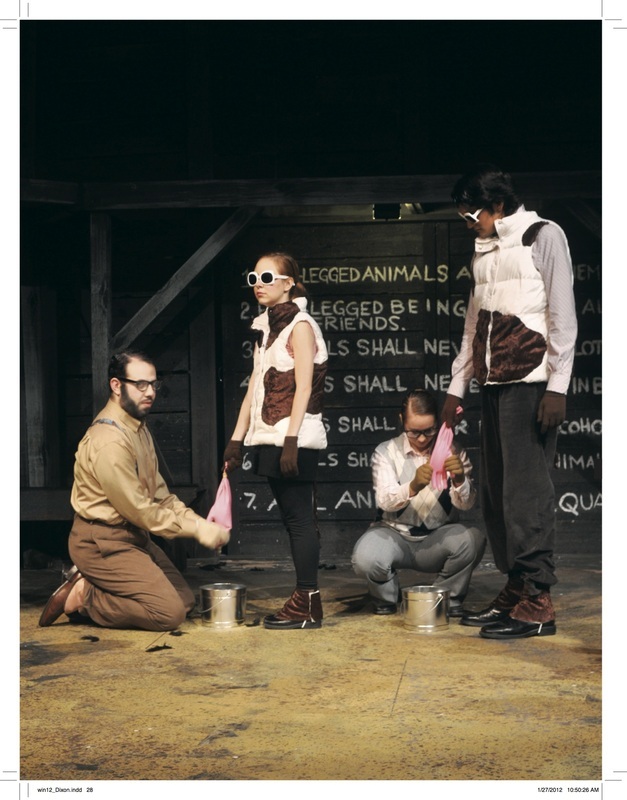 3, EdTA, Cincinnati, OH, Spring 2013. “Theatre and Life: All the World Really Is a Stage,” by Michael Bigelow Dixon, Dramatics, vol. 84 no. 7, EdTA, Cincinnati, OH, March 2013. 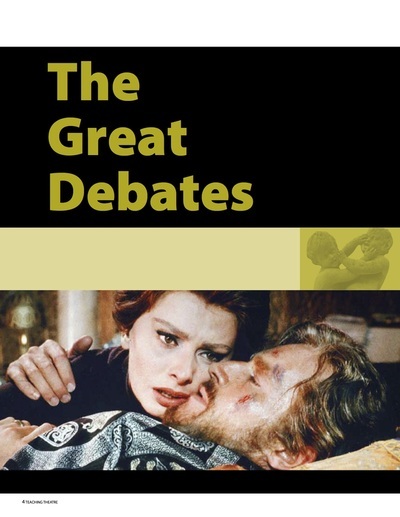 “The Great Theatre Debates,” by Michael Bigelow Dixon, Simonetta Cochis, Gary Deaton, Teaching Theatre, EdTA, Cincinnati, OH, Winter, 2013. 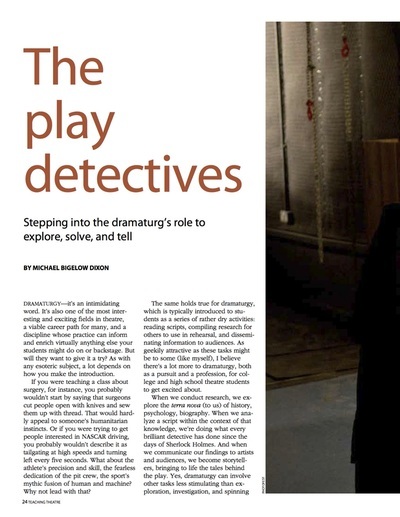 “Tyrone Guthrie: Theatre Innovator,” by Michael Bigelow Dixon, Dramatics, EdTA, September 2012. “The Main Event: Breaking with Realism Part IV,” by Michael Bigelow Dixon, Teaching Theatre, EdTA, Cincinnati, OH, Spring 2012. “When Worlds Collide: Breaking with Realism Part III,” by Michael Bigelow Dixon, Teaching Theatre, EdTA, Winter 2012. “Expression and Alternate Worlds: Breaking with Realism:Part II,” by Michael Bigelow Dixon and Amy Wegener, Teaching Theatre, EdTA, Fall 2011. 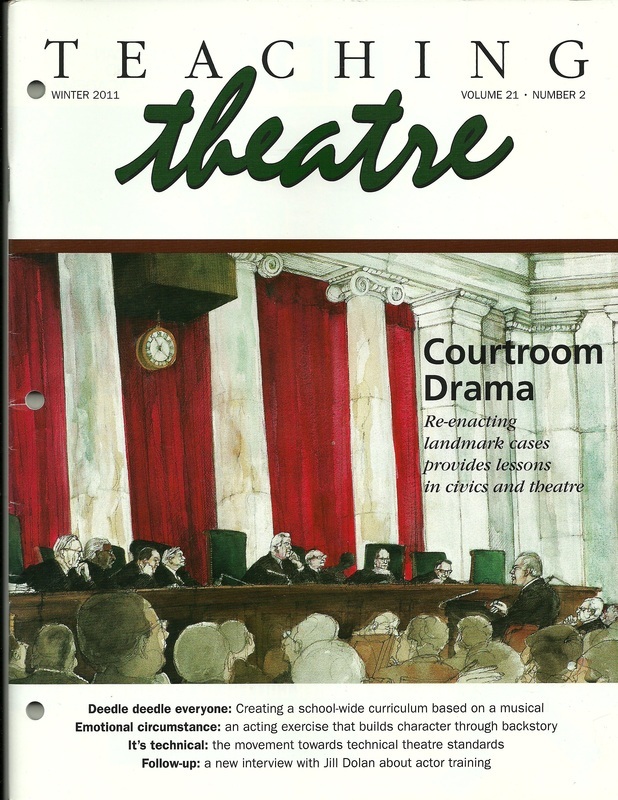 Theatre, vol. 21, no. 2, EdTA, Cincinnati, OH, Winter 2011. “The Future Starts in Ten Minutes,” by Michael Bigelow Dixon, Dramatics, EdTA, Cincinnati, OH, May 2011. 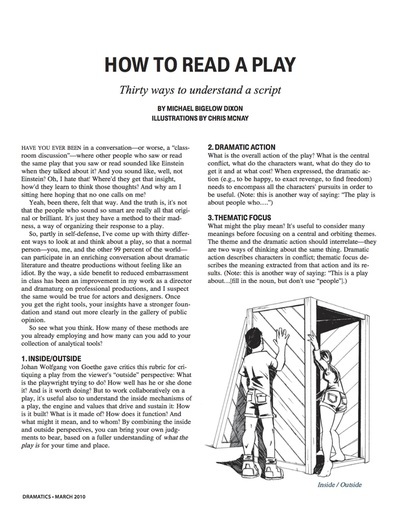 “How To Read a Script: 30 Ways to Understand a Play,” by Michael Bigelow Dixon, Dramatics, EdTA, March 2010. “The American Play: 1787-2000,” (Book Review), Dramatics, EdTA, Cincinnati, OH, October 2009. Cambridge University Press, Cambridge, UK, 2006. 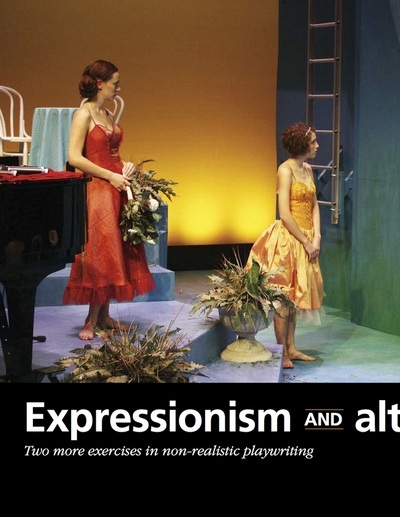 “The Reading: A Simpler Way to Bring Together New Scripts and Audiences,” Dramatics, EdTA, Cincinnati, OH, May 2006. 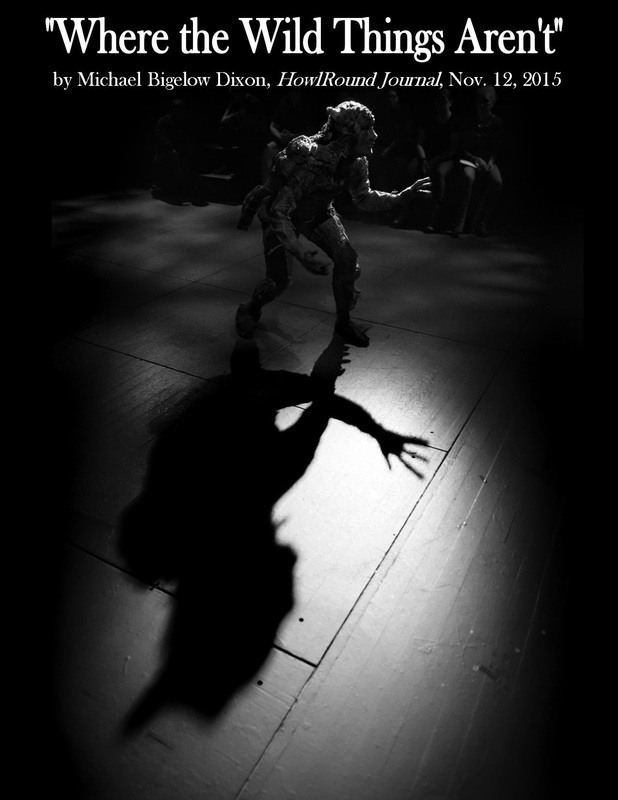 “The Elliott Hayes Award: A Thumbprint History,” by Michael Bigelow Dixon and Amy Wegener, LMDA’s 20th Anniversary, New York, NY, 2005. 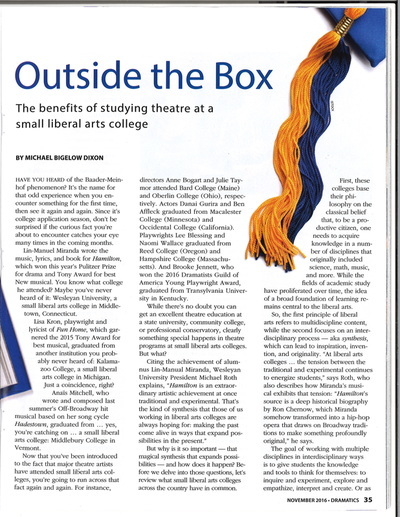 “Foreword,” by Michael Bigelow Dixon, Playwriting at Work and Play: Developmental Programs and Their Processes, Heinemann Press, NH, 2005. Dixon, Theatre Topics: Dramaturgy Special Issue, vol. 13, No. 1, March 2003. 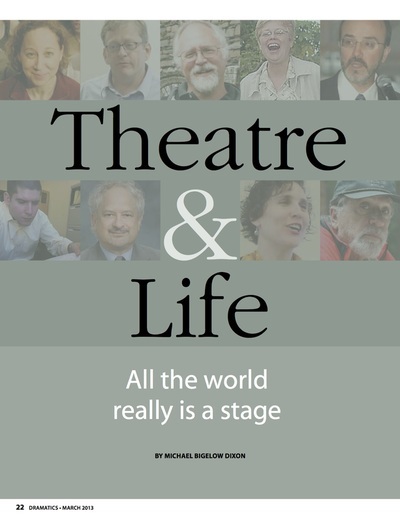 “Interview with Michael Bigelow Dixon,” Between the Lines by Judith Rudakoff & Lynn Thomson, Playwrights Canada Press, 2002. “Jane Martin in Context: Preface,” Jane Martin Collected Works, vol. 2, Smith & Kraus, Lyme, NH , 2001. Actors Theatre of Louisville, Louisville, KY 2001. 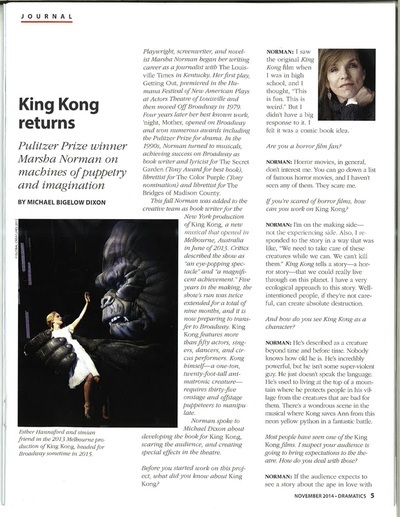 “Y2K: An Interview with Arthur Kopit and Bob Balaban,” by Michael Bigelow Dixon, Theatre Forum, Winter 2000. 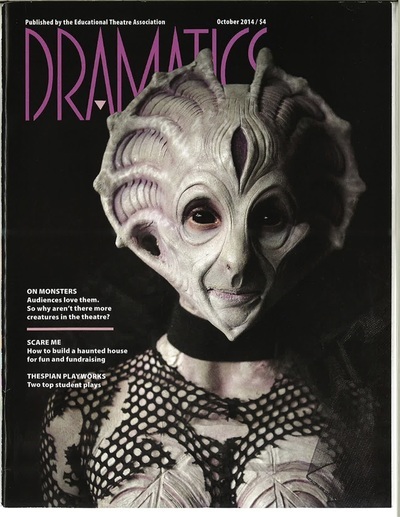 “Dramaturgy of Desire: The Theatre of Naomi Wallace,” by Michael Bigelow Dixon, Theatre Forum, Fall, 1998. “Introduction,” by Michael Bigelow Dixon, Best Men’s Monologues of 1994, Smith and Kraus, Lyme, NH, 1994. 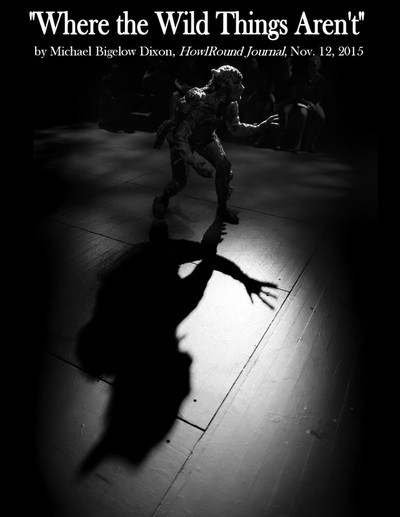 “Marisol at Actors Theatre of Louisville,” by Michael Bigelow Dixon, Theatre Forum, CA, 1992. “Elliott Hayes Talks with Michael Dixon: An Interview,” Stratford Festival Program for Homeward Bound by Elliott Hayes, 1991. 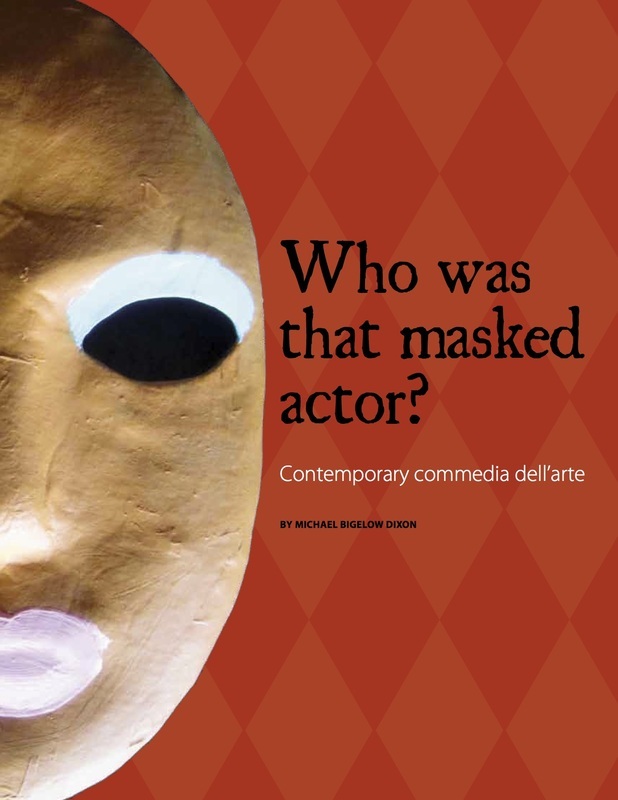 “Actors Theatre of Louisville,” (Encyclopedia entry) Kentucky Encyclopedia, 1991. 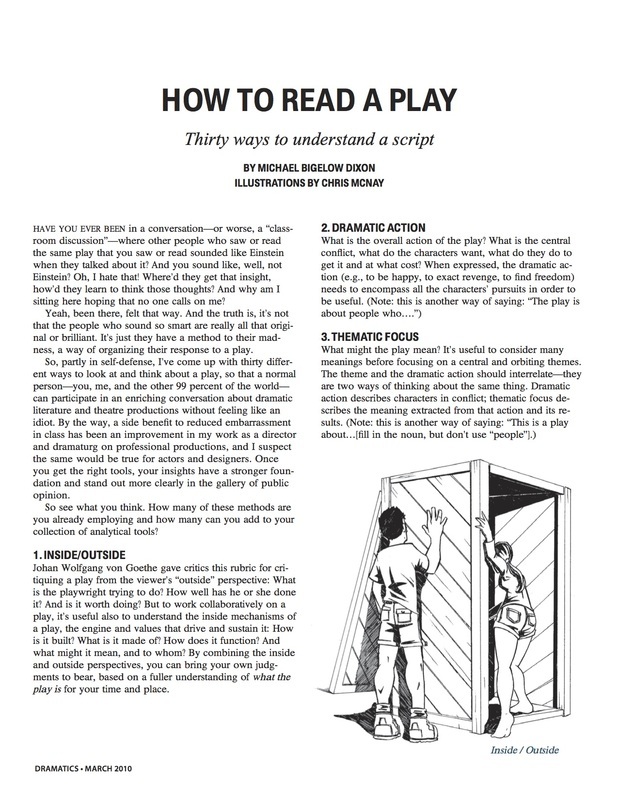 “Imagining the Ten-Minute Play,” by Michael Bigelow Dixon, Dramatists Guild Newsletter, 1990. “Dramaturgs—Fashion or the Future,” by Michael Bigelow Dixon, Arts Magazine, New Jersey State Arts Council, 1988. “Reviewing the Musical Revue,” by Michael Bigelow Dixon, Houston OnStage Magazine, June, 1985. “The Many Faces of Orange County,” by Michael Bigelow Dixon and Valerie Smith, Orange Coast Magazine, CA, August, 1984. “The Mission Tradition at San Juan Capistrano,” (published under pseudonym Lowell Gibann), Air Cal Magazine, May, 1984. 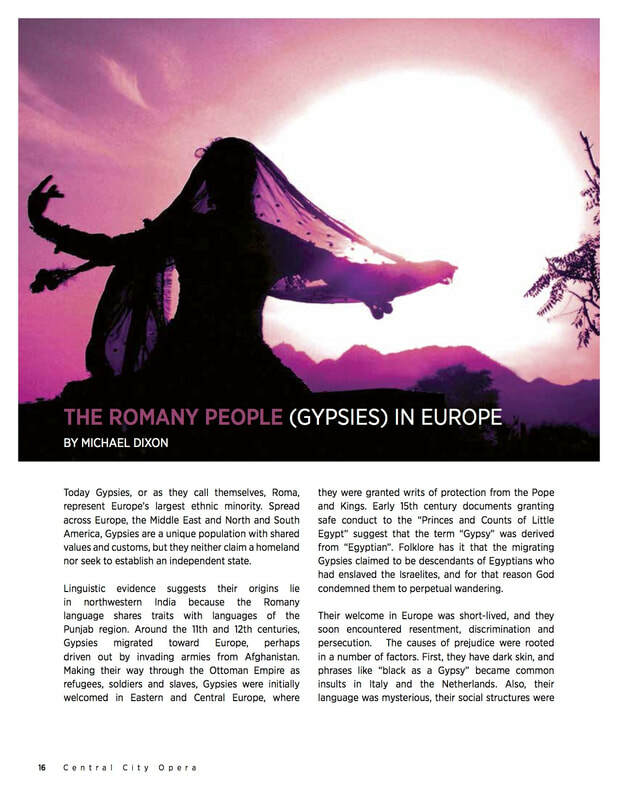 “The Drama of Immigration,” by Michael Bigelow Dixon and Valerie Smith, Orange County Magazine, CA, March, 1984. “The Annotated Bits & Bytes,” by Michael Bigelow Dixon, Orange County Magazine, CA, June, 1983. The Computing Teacher, University of Oregon, October, 1983. “Fourth Step, Second Stage,” by Michael Bigelow Dixon and John Mouledoux, Air Cal Magazine, CA, July 1982. “Paintings of Paradox,” by Valerie Smith and Michael Bigelow Dixon, Orange County Home & Garden Magazine, June, 1982. “Career as Quest: An Interview with Lee Shallat,” by Michael Bigelow Dixon, Dawn Magazine, September 1981. 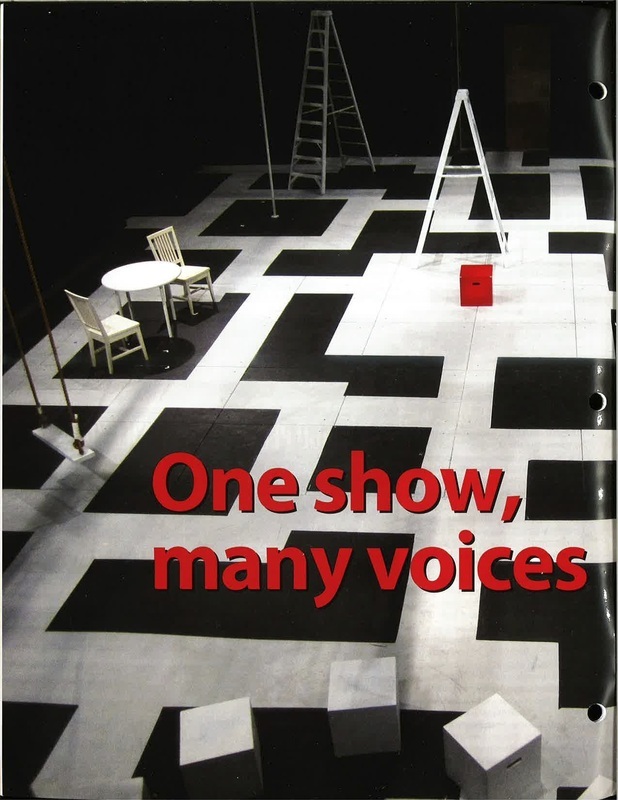 “A History of the Handicapped On Stage,” by Jan Blacher and Michael Bigelow Dixon, The Journal of Special Education, vol. 16/No. 1, 1982. “An Actress Plays the Role of a Mother of a Handicapped Child,” by Jan Blacher and Michael Bigelow Dixon, Education Unlimited, 2 (2), 1981. 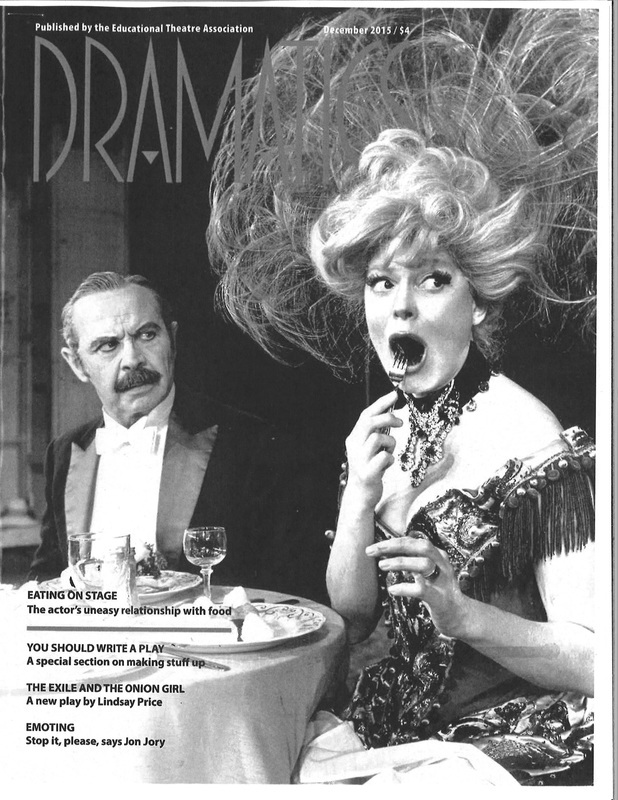 “Spoleto’d to Death: A Parody of Spoleto Today,” reprinted in The Charleston Sun by Guest Critic Robert Jones, June, 1979. 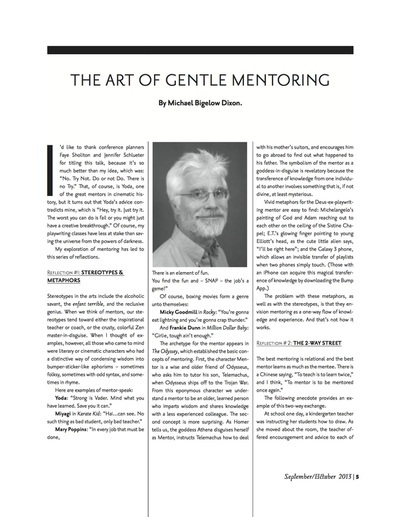 “An Interview with Howard Stein,” by Michael Bigelow Dixon, Journal of Fine Arts, 1 (2), University of North Carolina, Chapel Hill, NC 1980.